Another component of the LHWP, this site on the Hillsborough River has excellent songbird viewing. It’s also another access point for the Hillsborough River State Canoe Trail and the multi-use Wilderness Park Off-Road Trail System. On the north side of the park, bird the boardwalk and nature trail which runs through lush riparian forest, and then walk the trail on the south side of the park to an abandoned bridge. Check for Louisiana Waterthrush, Hooded Warbler, Worm-eating Warbler and American Redstart during spring and fall migration; Eastern Wood-Pewee and Acadian Flycatcher turn up in fall and Hermit Thrush is present in winter. Yellow-throated Vireo and Northern Parula sing from the treetops in summer; Blue-gray Gnatcatcher, Tufted Titmouse and Carolina Wren are common all year. 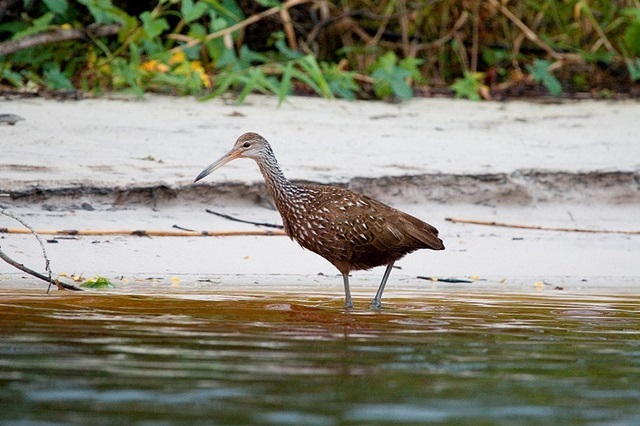 The river is home to Limpkins, and raptors like Swallow-tailed Kite (summer) and Short-tailed Hawk. The park is subject to closure when water levels are high; call ahead for information.